Washington has put Tehran on ‘official notice’ over its recent ballistic missile test, with White House National Security Advisor, Mike Flynn describing it as provocative and destabilizing the situation across the Middle East. The Trump administration "condemns such actions by Iran that undermine security, prosperity and stability throughout and beyond the Middle East that puts American lives at risk," Flynn told reporters Wednesday. Reuters reported that an anonymous White House official said the missile test was carried out on Sunday from a site near Semnan, east of Tehran. Iranian officials on Tuesday, however, insisted that the country has complied with the restrictions imposed in the Iran nuclear deal, according to Al Jazeera. The Russian deputy foreign minister also concurred the test does not contravene the UN resolution. "Such actions, if they took place, do not breach the resolution," Sergei Ryabkov, the Russian Deputy Foreign Minister, told Interfax news agency, saying demands for UN talks were aimed at "heating up the situation". AP reported that a defense official said the missile test ended with a “failed” re-entry into the earth’s atmosphere but had no details on the type of missile. Flynn stated, "Iran is now feeling emboldened," and criticized the Obama administration. 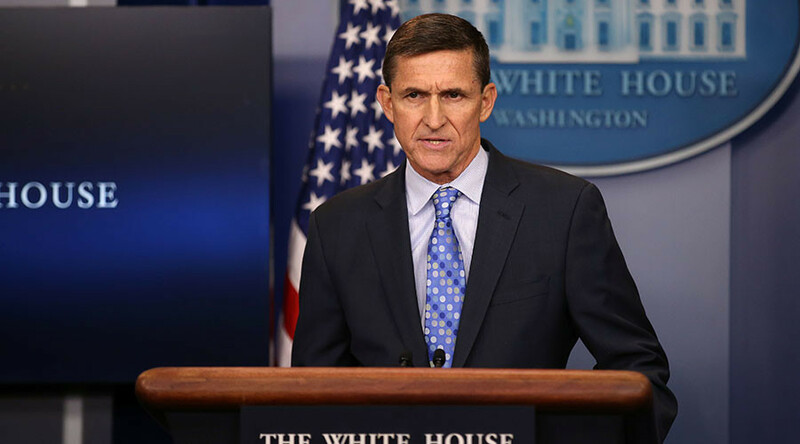 “The Obama Administration failed to respond adequately to Tehran’s malign actions—including weapons transfers, support for terrorism, and other violations of international norms,” said Flynn in the statement. Flynn added that the Trump administration “condemns such actions by Iran,” and "we are officially putting Iran on notice," although it's not clear what he meant.